WCH Health System needs your support to care for our family, friends and neighbors in Wooster and Wayne county. Your support makes a difference in their lives. Wooster Community Hospital Health System has grown to become a remarkable center for high quality care, with facilities and programs rivaling far larger institutions. In fact, we were ranked among the top 2 percent of all hospitals in America, regardless of size, for the fifth time in 2019. Philanthropic support will allow us to continue to strive for the highest quality of care, expand our facilities, and recruit the most talented medical professionals. As a community hospital focused on patients and families first and always, every gift – large or small – will have a far greater, more lasting impact on the lives of real people and the health of our local community. Whether you are a grateful patient, a family member, or you simply wish to help Wooster Community Hospital fulfill its vital mission of providing quality health care closer to home, we welcome your support. Philanthropy in all sizes and forms – whether an annual gift today, through your company’s matching gift program, or planned for in the future – is greatly appreciated by our dedicated physicians, employees, and patients. To learn more about how you can make a difference at WCH, contact Angela Rincon, Director of Development at (330) 263-8701 or arincon@wchosp.org. Thank you in advance. Your gift contributes to every success we have and every life we save. At Wooster Community Hospital, every gift matters and can be designated to benefit the hospital, a department, or program of your choice on our secure online giving form. Unrestricted gifts to the WCH Foundation are appreciated and support our hospital’s greatest, most immediate needs. We never forget the special people who have touched our hearts and made a difference in our lives. A tribute gift is a wonderful way to honor a friend, family member, or cherished physician, or to mark a special occasion like a graduation, retirement, or milestone birthday. 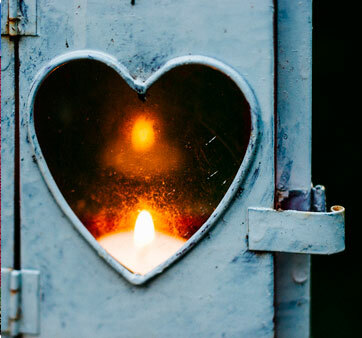 A memorial gift is a meaningful way to honor the memory of someone special or to express sympathy and extend consolation to a family that has experienced a loss. You can make a tribute or memorial gift using our secure online giving form, by mail, or a simple phone call. The foundation notifies all parties of tribute and memorial gifts. Philanthropy serves an important role in fulfilling Wooster Community Hospital’s vision for the future of health care. Legacy gifts not only endow that future, but also create tax savings or income benefits. These gifts include bequests in a will or living trust, charitable gift annuities, charitable trusts, life insurance, pension plans, and financial accounts, to name a few. If you or your financial advisor would like more information, please contact Angela Rincon, Director of Development, at (330) 263-8701 or arincon@wchosp.org. Wooster Community Hospital Foundation offers a broad range of partnership opportunities that may resonate with your individual or organization’s philanthropic focus, whether they be through cause-related marketing or special events. Our partnership can also help build camaraderie and leadership skills among your employees who volunteer time or money as part of your company’s outreach efforts. We work with our corporate partners to understand their needs and match their philanthropic interests with strategic opportunities at Wooster Community Hospital. The Cardiovascular Institute at Wooster Community Hospital is leading the way to address the specific needs of our local population in understanding, preventing, and combating heart disease. Areas of focus include research, community outreach, women’s cardiovascular health, and interdisciplinary medicine. The Women’s Pavilion at Wooster Community Hospital is dedicated to providing the programs and options that deliver an optimal birthing experience for each mother and newborn. Dedication to respect, privacy, comfort, and family-centric care combine with best practices for outstanding quality care. The Community Care Network (CCN) is a collaborative learning program between Wooster Community Hospital and The College of Wooster, focusing on those who have had multiple hospitalizations or potentially avoidable emergency room visits, those with chronic diseases, and all who desire to embrace change for better health. Just as a rare coin dropped in a fountain creates ripples even as it endows value, so the Flo K. Gault Nursing Scholarship Endowment creates benefits that expand far beyond the walls of Wooster Community Hospital. The fund was created to help offset the costs of continuing education, so that more RNs at WCH can pursue bachelor's and/or master's degrees in nursing while continuing to practice. Opportunities exist throughout Wooster Community Hospital to make a difference in the lives of real people and real families, including your neighbors and friends. An unrestricted gift allows the hospital to direct much-needed resources where they will make an immediate and long-lasting impact. The best hometowns never stand still. Certainly Wooster makes that case. Most recently named one of Ohio’s five “Best Hometowns,” our community continues to grow with energy and confidence. At Wooster Community Hospital, we’ve grown too – adapting to the growing demands of the communities we serve, and delivering extraordinary patient experiences. We stand for award-winning, quality health care locally – where we believe it is delivered best. To prove it, consider this: WCH has been named one of America’s 100 Best Hospitals by IBM Watson Health for the past two years in a row. As other major hospital systems discontinue or relocate medical services, and patients have to travel farther for care, WCH is bringing more advanced medical services closer to home – providing faster interventions and better patient outcomes. Members help us advance fundraising efforts, visibility, reputation, and patient care by serving as ambassadors for Wooster Community Hospital. Our members serve as advocates for specific initiatives, providing seasoned guidance and expertise. Wooster Community Hospital is grateful for the considerable talents, skills, and valuable time they have generously shared to help secure the hospital’s future. Just about everyone in Wooster and Wayne County knows that Wooster Community Hospital is the place for award-winning and advanced quality health care close to home. Has a new convenient location, the Outpatient Pavilion, which provides access to clinical trials, radiation treatment technologies, and wellness suites for infusion therapy. 24/7 secure convenience of giving over the internet via credit card.